The history of Jack Foriska’s liver disease started in 2003. He was given a short time to live following a near-death experience where they discovered he had cirrhosis of the liver caused by Hep C and an unhealthy lifestyle. He beat the odds and began to focus on healthy living. After 13 years, he was diagnosed with liver cancer in June of 2016. Following a procedure to remove the tumors, the journey of a liver transplant began. With the scare of the cancer last year, Jack decided to pursue items on his bucket list. He found an extreme passion for acting and after developing himself over the past year is now a working actor. An accomplished photographer, he is also turning that into a viable business he has always dreamed of pursuing. On October 7, 2017, Jack got the call that a match had been found! 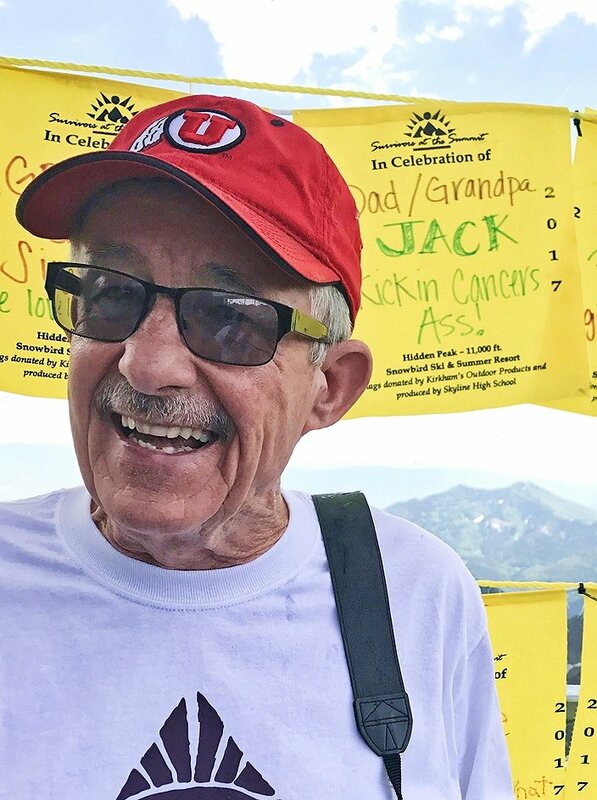 Jack is so grateful to have received a new liver and is hoping this is the true blessing to kick cancer to the curb, start fresh with a clean liver and extend his time here on earth to spend with loved ones. He is looking forward to many more years spent watching his family and especially his grandkids grow up. Due to the transplant adding extra expenses that may not be covered by insurance, as well as not being able to work and bring in any income for several months, life has hit him with certain hardship. To keep Jack afloat to eventually get back to pursuing his dreams, we are calling for other kind souls to aid in any way possible. To help with the financial burden of uninsured expenses, a fundraising campaign has been established in honor of Jack Foriska with Help Hope Live, a trusted nonprofit organization that has been providing community-based fundraising guidance to help patients and families in need for more than 30 years. All donations are tax-deductible to the full extent allowed by law and are held by Help Hope Live in the Southwest Transplant Regional Restricted Fund in honor of Jack Foriska. Donations are allocated by Help Hope Live based on financial need for medical expenses. Please consider making a tax-deductible contribution today. Thanks to all those who have donated so far. We trust you all had a wonderful Thanksgiving. Can’t tell you how much your spirit of giving is appreciated. We are just getting the hang of negotiating this site and will post a video update shortly. I am recovering from the surgery very well. Won’t be out of the woods for a while but right now everything is looking pretty good. Giving Tuesday is tomorrow. Please forward the link to this site to all your friends and family and urge them to please make this their offering.